Anyone who owns a knife definitely needs a knife sharpener. Even if you are using the highest-quality knife, it will eventually get dull over time. Using a dull knife can be very dangerous. In order to keep it safe, you have to sharpen it regularly. Take note that a knife sharpener is entirely different from a knife steel/honing steel. A knife sharpener will provide a new edge to your knife while a knife steel will align the edge. 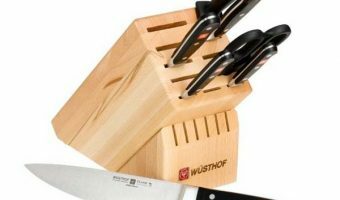 Most knife sets include a honing steel so you might think that this is all you need. Honing without sharpening can make your knife dull over time. Simply put, if you only have a honing steel then you must also buy a knife sharpener. Having a dull knife can make your work ineffective. So, how can you tell if it’s already dull? You must examine the blade closely. If the blade looks uneven or worn out and has dents then it’s time for you to find the best knife sharpener. 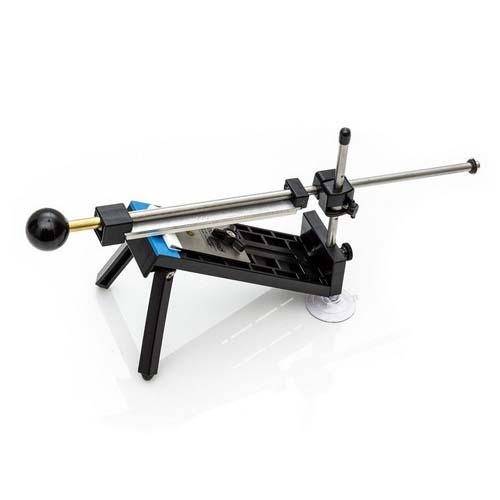 There are a variety of sharpening tools that are sold in the market such as sharpening steels, sharpening stones, electric knife sharpeners, manual knife sharpeners and knife sharpening systems. Sharpening stones are a traditional type of sharpener. It does offer a lot of benefits, however, it does not have too many features. Originally, it was created out of aluminum oxide. Nowadays, they are constructed out of several materials such as ceramic, oil, diamond and water. Sharpening steels work the same way as sharpening stones. However, this tool is more suitable for honing since it cannot expel more material from the blade. Despite the fact that it is not competent in improving a dull knife, it is still excellent for honing! Electric Knife Sharpeners are the best option if you want total convenience. Take note that these are a bit bigger so it will take up some space on your countertop. However, these tools are fairly lightweight so you can easily store them in the cabinet after using. 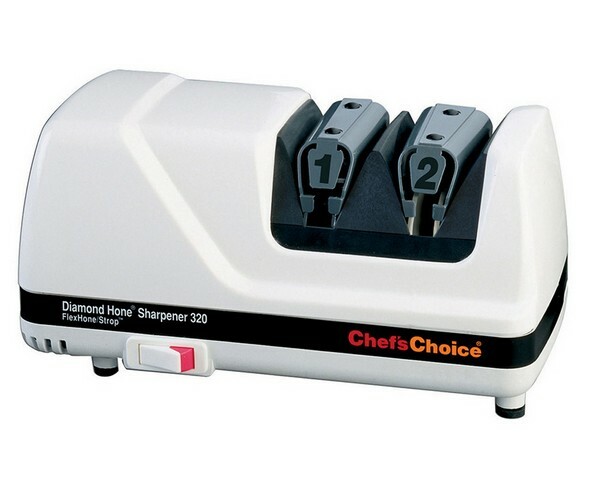 Manual Knife or Pull-Through Sharpeners are very convenient and advantageous too! There is a wide range of styles and shapes that are available, however, they all work the same. It works by pulling through the sharpener. Once you’re done with this process, your knife will become sharper and more consistent. Knife Sharpening Systems are extensively innovative and provides you with outstanding results. This system does not require any experience or skills. All you have to do is set the blade in place and the sharpening system will do the rest. This is why they are very costly. 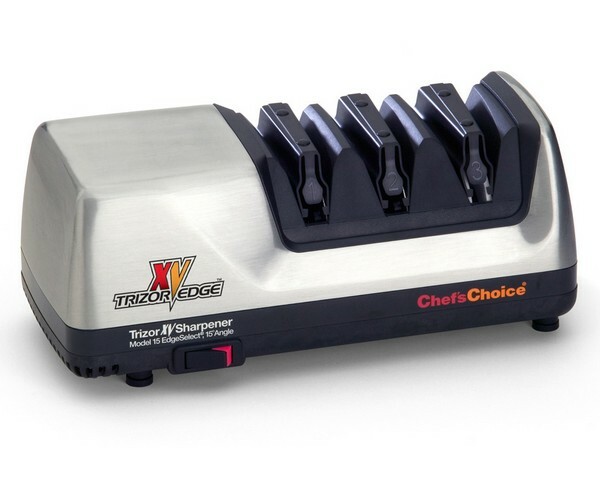 Whether you are an amateur cook or a professional chef, it is essential to have an excellent knife sharpener in your kitchen. You have to choose a sharpener that works with your knives. 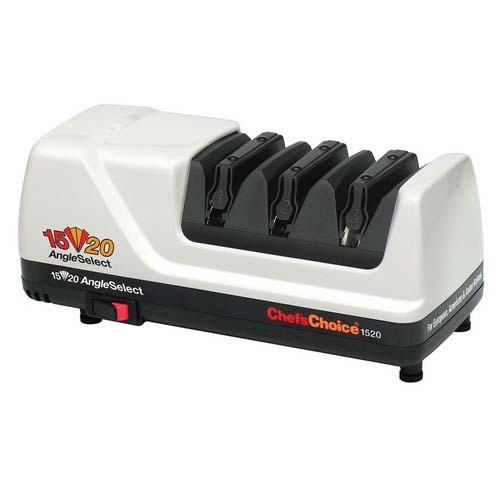 It is also important to select a sharpener that can work precisely and instantly. When it comes to portability, nothing can beat Apex 1. It is very easy to assemble. What’s more, you can easily store it in the case after using. This sharpener can be adjusted in almost all angles. 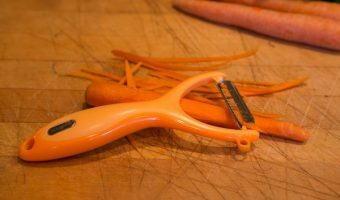 This means that you can practically use this on any types of knife. It can give you a consistent bevel since the sharpening stone will slide smoothly on the entire blade. 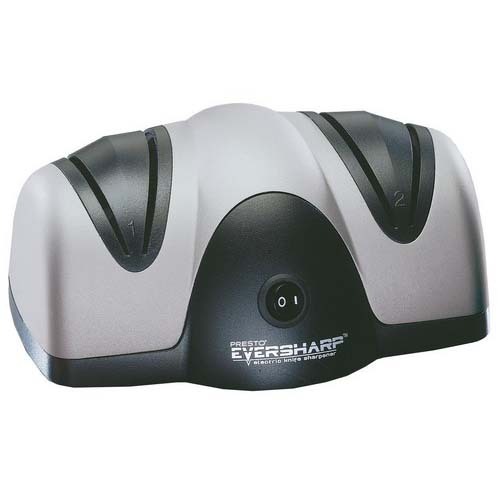 This sharpener has built-in stops and guards to keep you safe while processing. It has an outstanding flexible design, giving you the perfect matching bevel. Apex 1 can sharpen knives in any lengths. Compatible with Western, Japanese, serrated knives and other types of knife. A manual operation does not harm your steel temper. This sharpener is not compatible with filet knives. You need to do a bit of practice. Some consumers do not prefer manual operation. Although this brand is not as famous as the others, yet it gives you consistency, speed, and flexibility. It can sharpen your knife quickly. It is capable of sharpening a wide variety of angles. This knife sharpener has a unique design which allows the grinding wheels to be in constant contact with the blade. The best feature of this unit is its capability to choose the angle at which you want to sharpen your knife. Take note that different knives have distinctive angles. The knob permits you to choose the kind of knife that you want to sharpen. Just select an angle and away you go. It also includes a serrated blade sharpener. The Edge Pro has the most competitive price. This knife sharpener can work with different blades. It can sharpen your blade quickly. Your blade will get hot as it is sharpened. Consequently, this can weaken and shorten the life of your blade. It has the tendency to heat up so quickly. 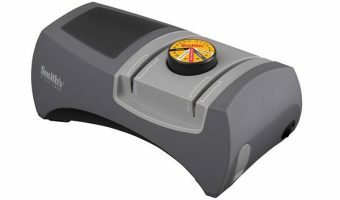 This knife sharpener provides two sharpening angles of 15 and 20 degrees. Likewise, it only uses diamond abrasives. This unit has three slots. The first slot is for 15-degree angles such as Japanese style knives as well as any other sharper knives. 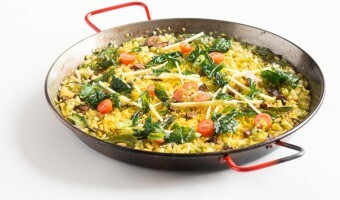 The second slot is designed for 20-degree blades, for instance, European style chef knives. Lastly, the third slot can sharpen either type. Since this sharpener can only sharpen one side of the blade then you can process two knives at the same time. In order to be sure, it’s best to read the instructions first. You can sharpen between 15 and 20-degree angles. Includes magnetized guides for a persistent angle. Sharpening can be done quickly. This unit will not overheat. Sharpening discs can harm the steel temper of your blade. There is less flexibility of blade angle. 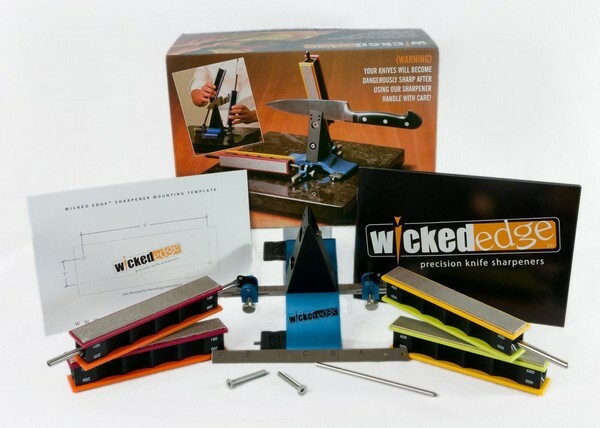 Wicked Edge is quite unique since it uses two rods instead of one. This is a great way to speed up the process since it allows you to sharpen both sides of the blade simultaneously. It can sharpen at a range of 15 to 30 degrees. When sharpening, be sure to set the angle on both sides. Setting the angle is very easy, however, you have to ensure that both sides have the same settings or else the edge will be uneven. It is capable of sharpening both sides at the same time. Its operation is simple and fast. It can work on a wide range of knives. The blade angle is very easy to lock. This sharpener is very expensive. It is not compatible with filet knives. You need to take note of the mountings on both sides in order to ensure consistency. 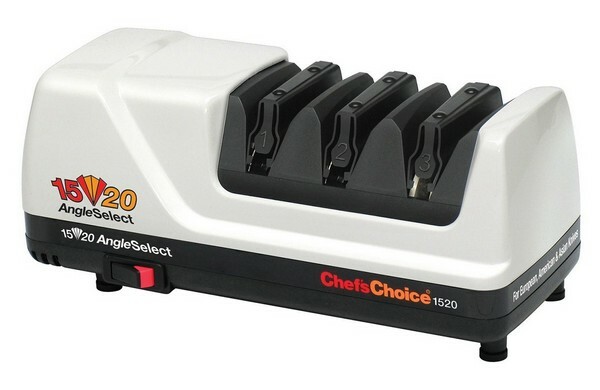 Undoubtedly, Chef’s Choice is one of the greatest knife sharpeners on the market. It is somewhat more costly than the other knife sharpeners, yet it offers exuberant benefits and features. It uses a 2-stage sharpening system to ensure that your blades will get sharper without damaging them. 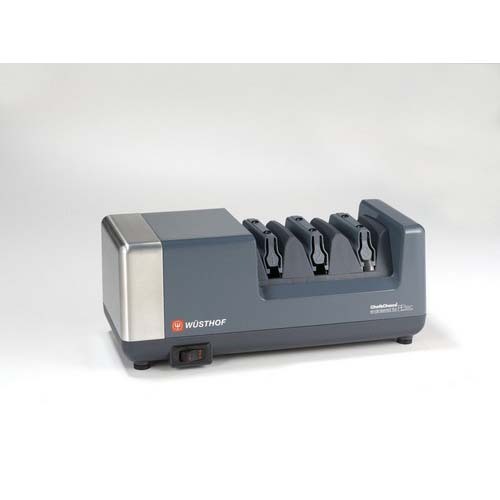 This unit is very versatile since it can be used in different applications. It works on any types of blades including serrated blades. 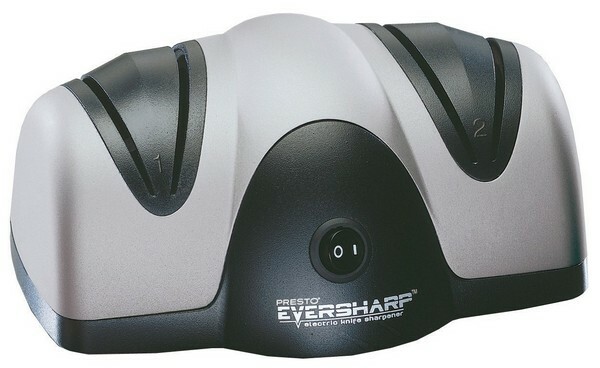 This knife sharpener is durably constructed and is covered by a 3-year warranty. Presto 08800 is very affordable and very light too! In fact, it only weighs 3 pounds, making it perfect for travelers. Since it is lighter then you can easily store it somewhere. It uses a 2-stage sharpening system wherein the first stage is the grinding of the blade. In the second stage, the blade is quickly sharpened. Sapphirite sharpening wheels provide you with a professional finish. It is much lighter compared to the other models. It does not work on serrated blades. 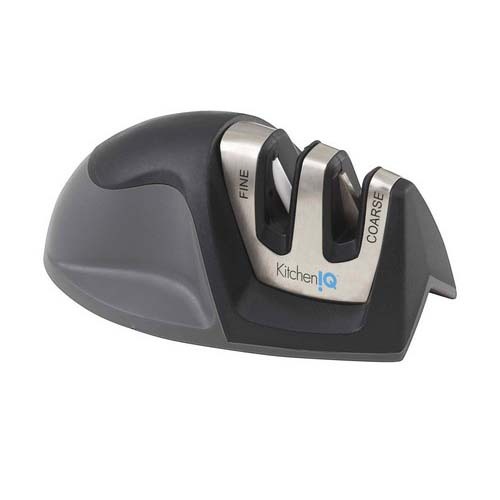 If you need a convenient, durable and lightweight knife sharpener then this is the best option. 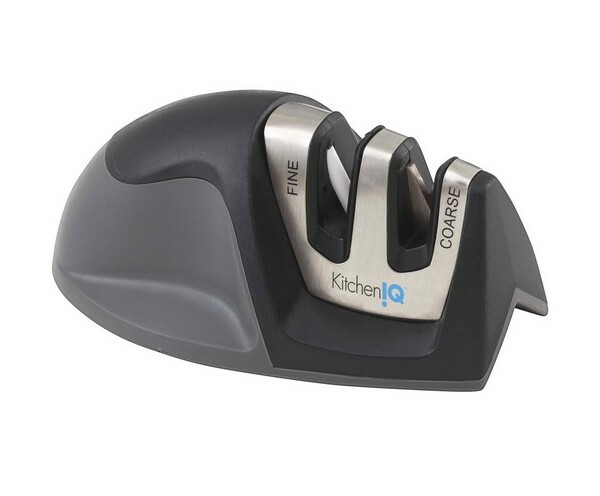 The KitchenIQ 50009 sharpener is very easy to use and does not consume too much time. It can suit anyone regardless of their skill level. It uses a 2-stage sharpening system to make sure that your blades are sharpened perfectly. This unit is super easy to use. This particular sharpener does not offer angles. It only works on straight edges. 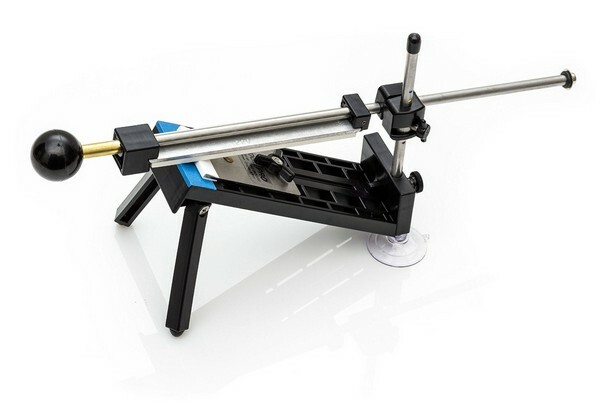 If you want a pocket knife sharpening system then you should consider KME. This unit is created from high-quality materials so you can guarantee that it can last a lifetime. 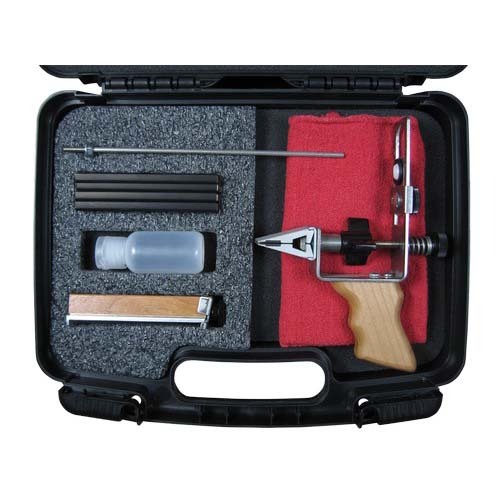 This kit includes all the things that you need to accurately sharpen your knife. The neoprene-lined clamp will secure your blades properly to avoid any damage. The stone holder is durable and includes an ergonomic handle to make your hands and wrist feel comfortable. It has a flexible angle adjustment which permits you to choose a particular angle between 17 to 30 degrees. 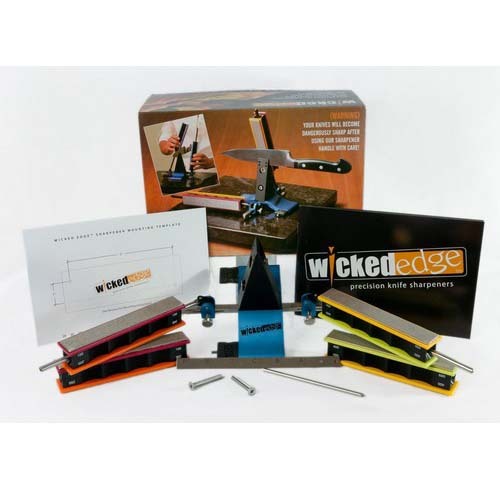 This kit comes with 4 different diamond sharpening stones to ensure that it works on every level. 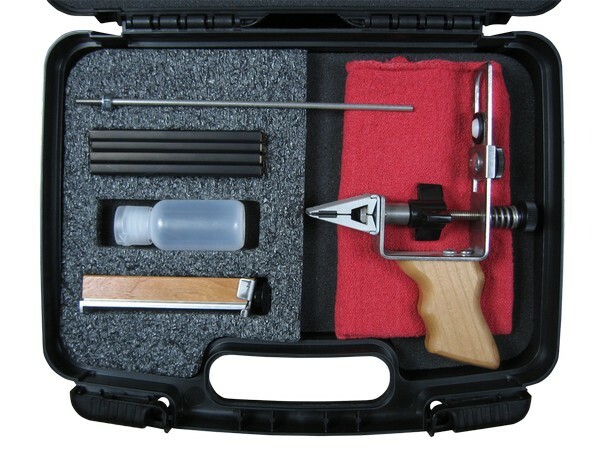 All the components of this sharpening system are packed in a carrying case, so you can carry it anywhere. 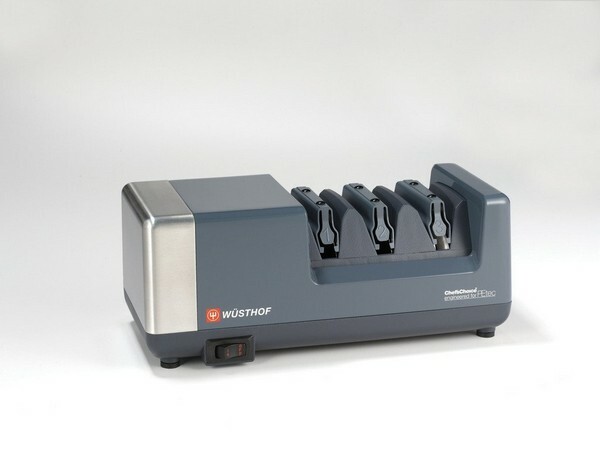 This Wusthof sharpener uses a 3-stage sharpening system. The first stage is sharpening, the second stage is honing and the last stage is polishing the edge. With PETec technology, you can revive the sharpness of your knife and extends its lifespan. This unit can work on many types of knife. It uses 100% diamond coated abrasive wheel which is great for realigning and polishing your knife. This unit can sharpen even the dullest knives. 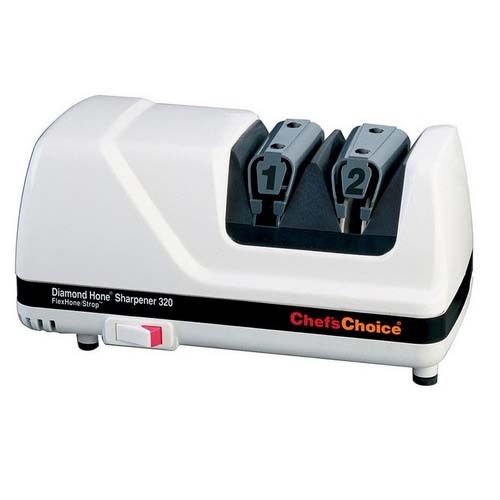 This 3-stage electric knife sharpener can work on any types of knives including American, Asian and European knives. It has the ability to reprofile a knife of 20-degree edge to 15-degree edge. 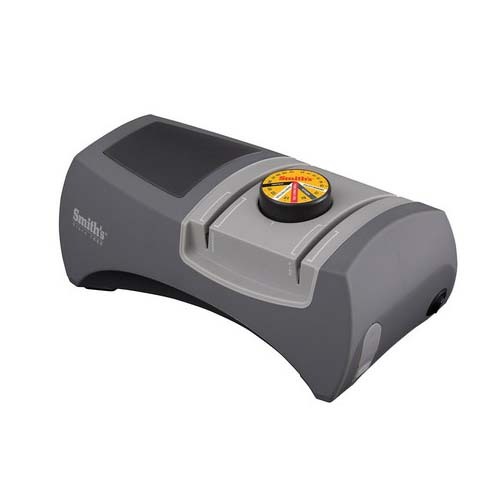 This sharpener is one of the best selling knife sharpeners all over the world. The adjustable spring guide will make sure that you can get a precise angular position. It is perfect for straight and serrated blades. 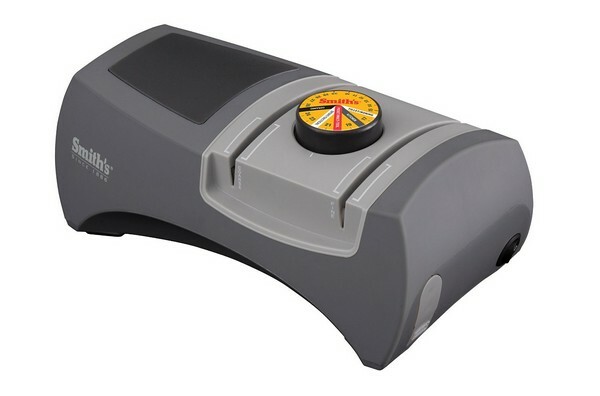 A knife sharpener with two levels has a pre-set angle to accurately guide your knife. Sharpening can be done easily. Anyone can do it even if you do not have prior experience or skill. The first stage is the coarse level. It contains diamond-coated abrasive wheels which can sharpen your dull knife. The second stage which is also the fine level uses ceramic slats. It is ideal for regular sharpening and fine sharpening. Step One. Place the sharpener on a flat surface and hold it firmly. Step Two. Position the blade into the slot at an angle of 90°. Step Three. 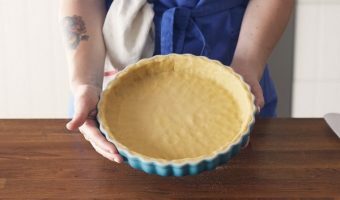 Hold the knife in an upright position then pull the knife lightly from the base to the tip. Step Four. Repeat the process. Avoid pulling the knife back and forth. At the end of the day, there are numerous products out there that could be considered as the best knife sharpener. 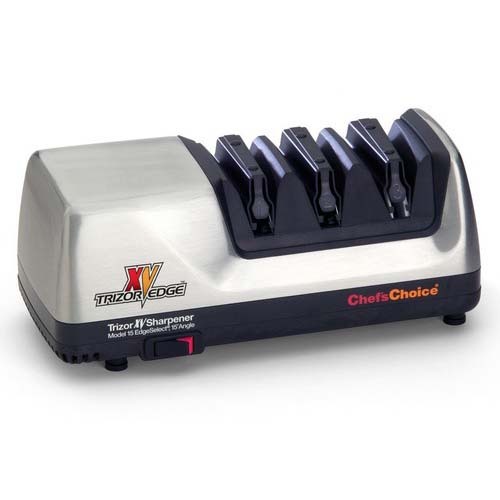 Obviously, it is significant to remember that the best knife sharpener of one user might not be the best one for you! Sharpening your chefs knife can make you work efficiently. A kitchen knife is not only a great tool for preparing foods but it can also save lives.